As a Shopify merchant, you need fast & effective service to run an online store. Use a Shopify customer service app to improve the customer experience and your help desk response time. 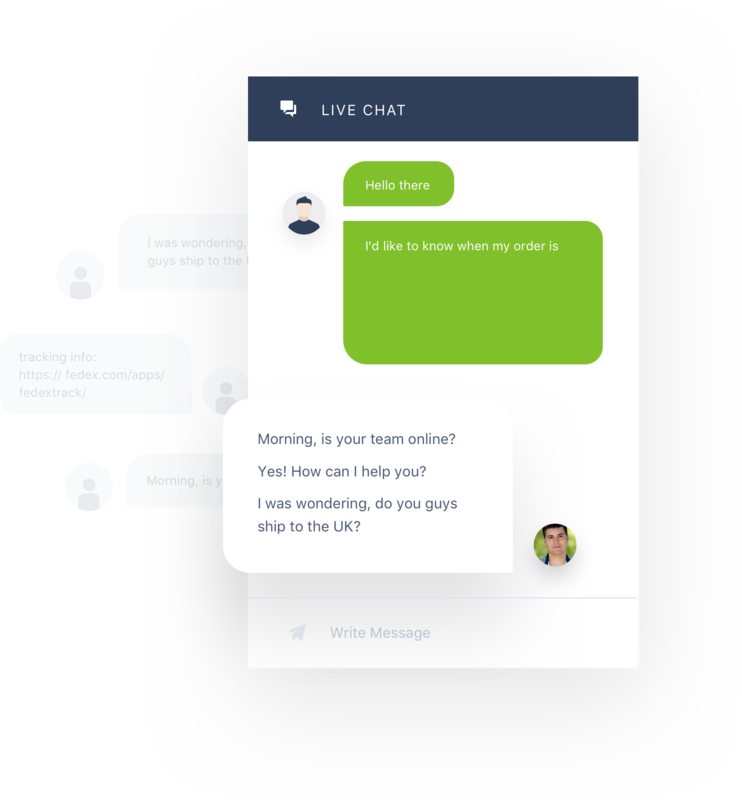 When it comes to live chat, Facebook Messenger, Instagram, Gmail, and other customer service and social media channels, speed is key to your success as a Shopify merchant. Nobody wants to wait hours to check the delivery status of their order on your ecommerce website. They also shouldn’t have to wait a day to hear back from your through your ticketing system because your service reps are busy checking order history, shipping information, and customer information. This is where automation comes in. With Gorgias, when a customer wants to check their delivery status they can simply visit your online store and ask the live chat. 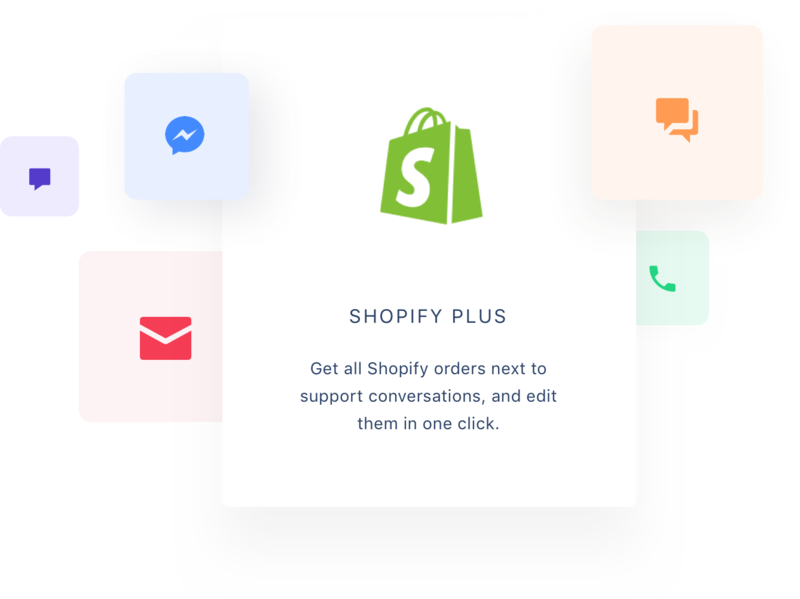 It will pull shipping information from Shipstation, Shipping Easy, and other Shopify shipping apps and provide them with it automatically. Gorgias’s automated reply capabilities don’t stop there, though. 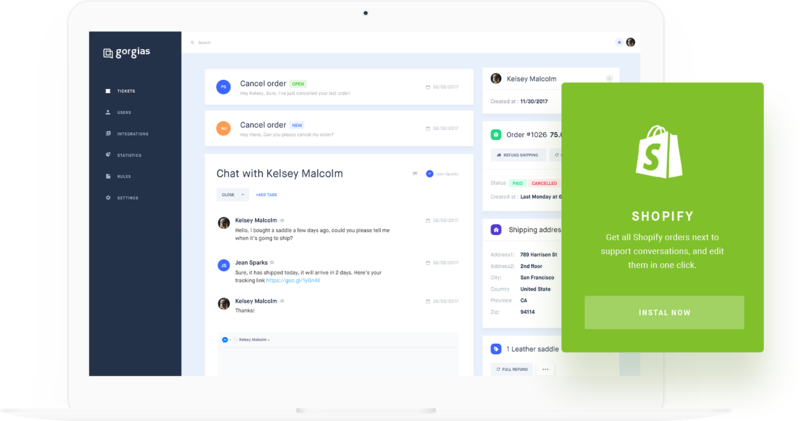 Because it centralizes your social media and communication channels in a single ticketing system along with customer information from your shopify apps, it is easy to track customer requests, follow-up with them, and more from the helpdesk directly. 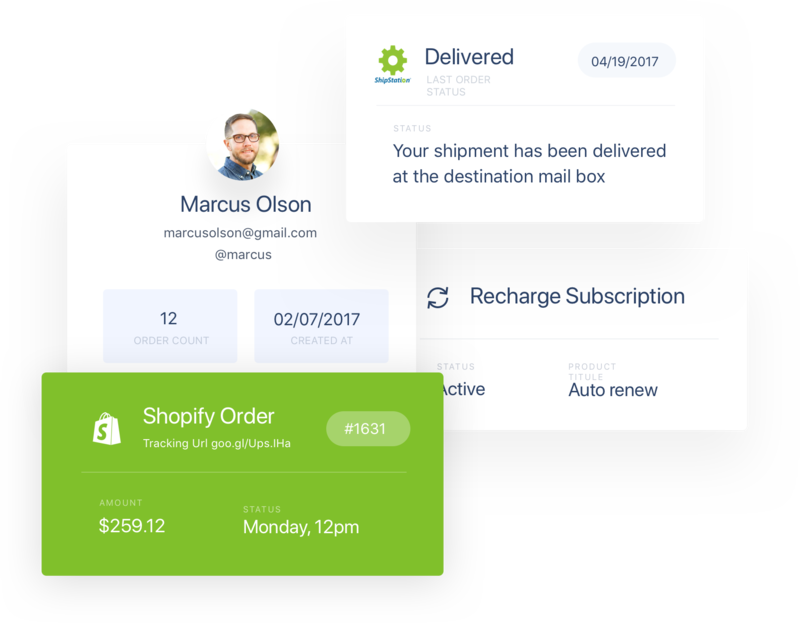 You can provide support regardless of whether they come from live chat, Facebook Messenger, Instagram, or Gmail with their order history and shipping information stored in a single customer profile. With our Shopify customer service app Gorgias, you can improve your help desk response time, offering a better customer experience on your online store and score among the best online retail customer service providers.